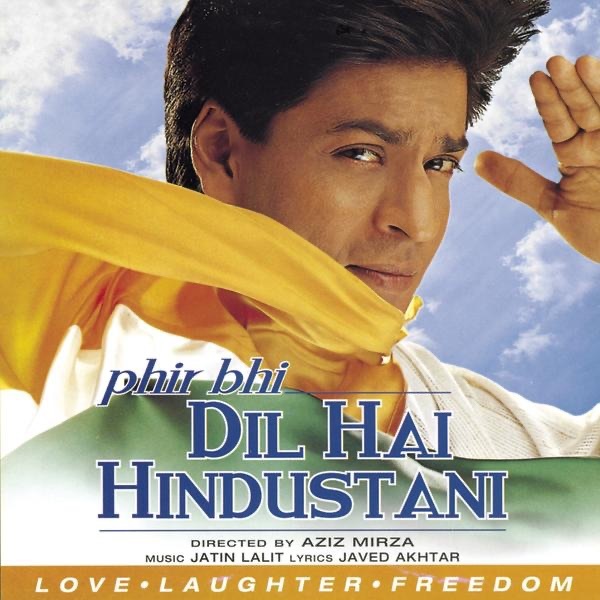 Phir Bhi Dil Hai Hindustani is an Indian Hindi comedy-drama film released by Dreamz Unlimited, now Red Chillies Entertainment on 21 January 2000. The movie stands the test of time, maybe more relevant now than when it was released. The film was directed by Aziz Mirza and stars Shahrukh Khan and Juhi Chawla. It focuses on the media war being fought in the TV newsrooms. What are the extents to which we can go in order to create content for news, is one of the main focus of the movie. Ajay Bakshi and Ria Banerjee are two television reporters for rival news channels who try to save the life of a man who has been fixed by a politicians for the death of his brother, from a death sentence. The film marked the first attempted by Khan, Chawla and Mirza under their new production company Dreamz Unlimited, now Red Chillies Entertainment. This film won the IIFA Award for Best Special Effects.